At Davis Family Dentistry, making sure you feel at ease is our top priority. We strive to create a warm and welcoming environment with amenities such as televisions in each treatment room so you can relax with your favorite program during treatment. Dr. Kurtis and Dr. Joanne have invested in some of the most advanced technology to ensure that every visit to our office is comfortable and efficient for you! Here is some of the equipment you can expect to find at our office. 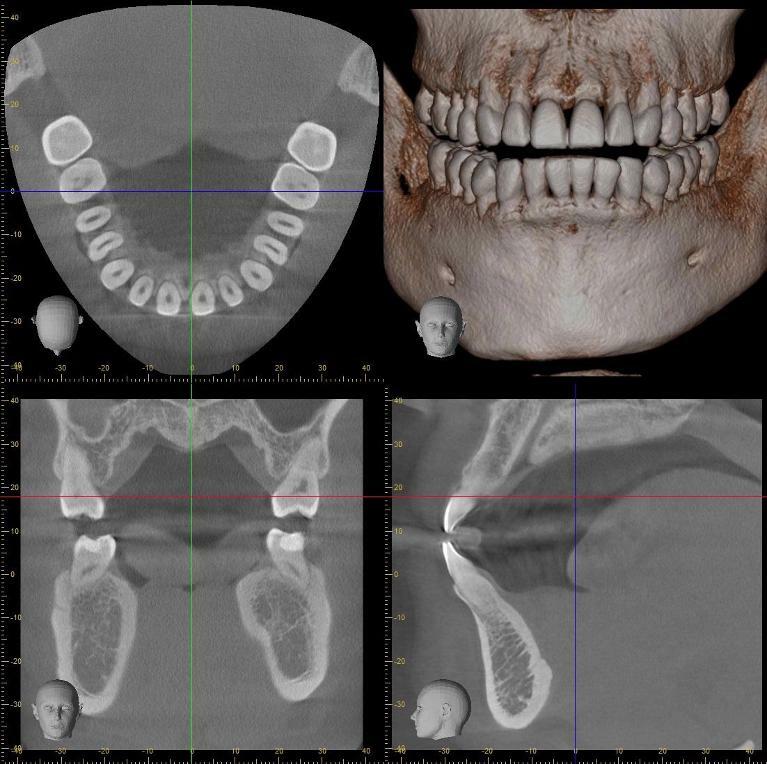 Our 3-D cone beam technology gives us a three-dimensional view of your teeth and jawbone. This information is an integral part of the implant planning process as it helps us ensure that you have enough healthy bone structure to support the implant. 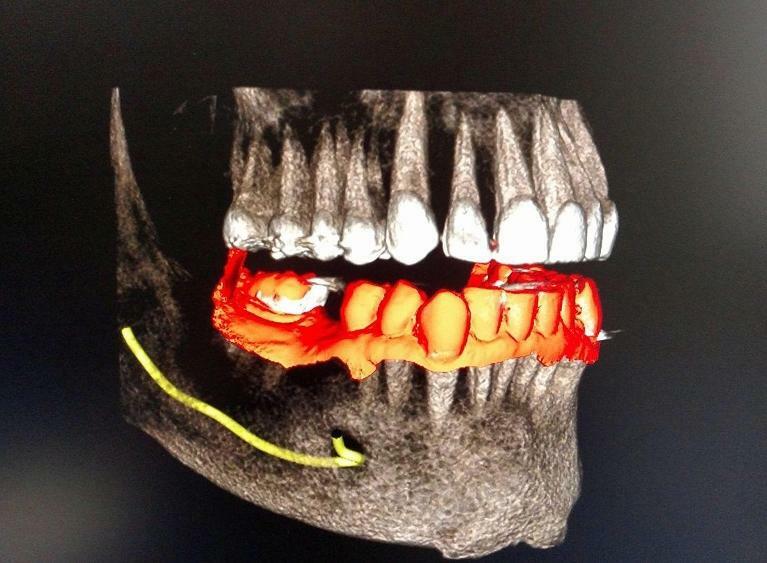 Dr. Kurtis also uses these images to plan exactly where to place your dental implant ahead of time, so the day of your surgery goes smoothly and efficiently. Computer-guided surgeries also ensure accuracy and longevity for your restoration. At Davis Family Dentistry, our office is completely paperless! We're happy to utilize digital records as they're more convenient and readily available for our patients and other pertinent providers. We also use digital x-rays, which offer a number of benefits for both our doctors and patients. Digital x-rays offer a clearer image that is available immediately for viewing and discussion with Dr. Kurtis and Dr. Joanne. They emit 80% less radiation than traditional x-rays, which is healthier for our patients, and there are no harsh chemicals needed for developing, which is better for the environment. Digital x-rays allow us to diagnose certain conditions in their earliest stages so you have the opportunity to treat them with less invasive procedures. It seems that our schedules are only getting more hectic! We value your time at Davis Family Dentistry, and it's our goal to deliver dental treatment to you in a timely and efficient manner. We understand that when you need a tooth repaired, you may not have 2 to 4 weeks to wait for your restoration to be completed. For this reason, we've invested in CEREC technology that allows us to design and fabricate dental crowns and other restorations made of high-quality porcelain here in our office during one short appointment. 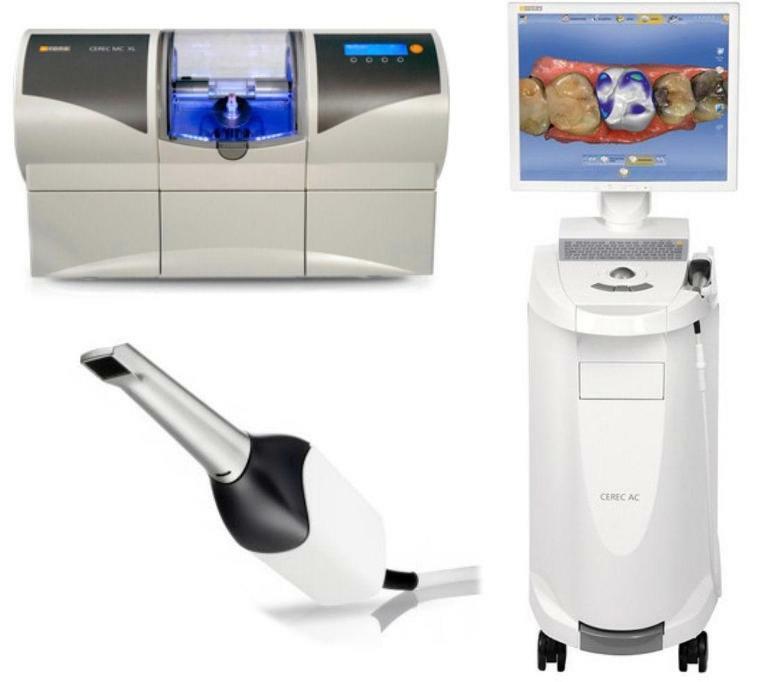 CEREC uses 3-D technology to scan an image of your tooth directly to our machine that will create a high-quality porcelain crown for you while you wait. This also means that you'll no longer have to endure the messy impressions we used to have to take of your teeth. CEREC makes getting a crown more comfortable and efficient, and you'll leave our office the same day with a beautiful fully functioning restoration that complements your smile. If you have a tooth in need of repair, there's no reason to delay your treatment! Contact Davis Family Dentistry to learn more about CEREC and schedule your appointment.